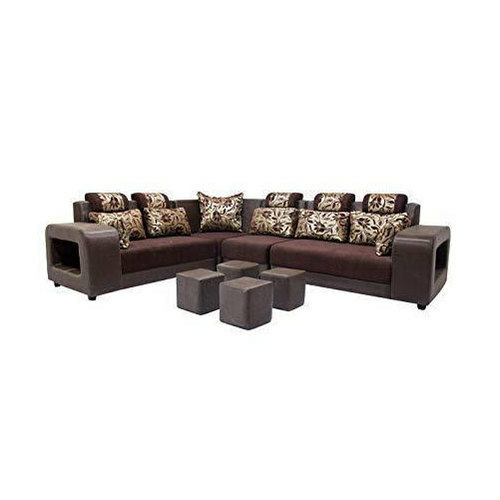 We bring forth vast industrial experience and expertise in this business, involved in offering a high-quality range of L Shaped Sofa Set. Since establishment in the year 2018, we “Sai Ram Furniture” are focusing on becoming one of the most familiar and trustworthy name of this industry and for this, we make sure to perform our manufacturing activities in an efficient and ethical manner. The range of products in which we deal is Bean Bag, Wooden Bed, Dinning Table, Wooden Cupboard, Dressing Table, Sofa Set, Two Seater Sofa, Shoe Rack, Office Chair, Wooden Chair, Plastic Chair, SS Chair, Adjustable Bar Stool, Bed Mattress and many more. Our corporation is specializes in the quick and efficient shipment of ordered consignments by the means of logistic facility.